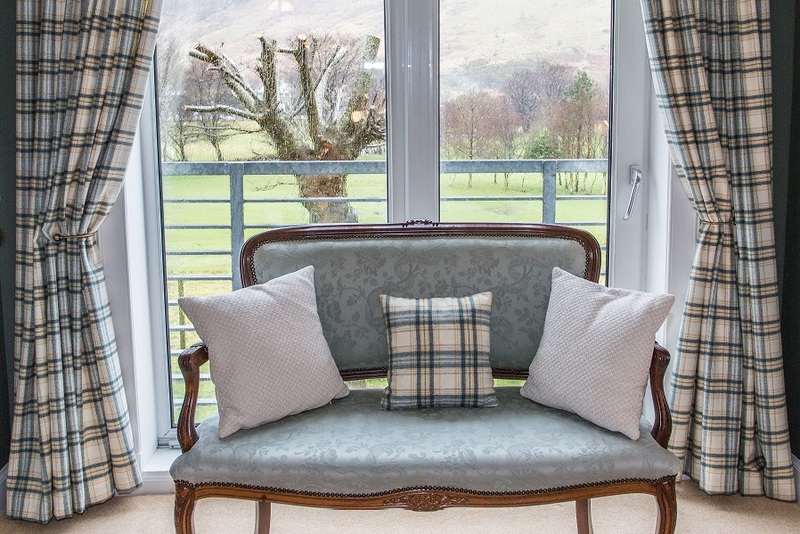 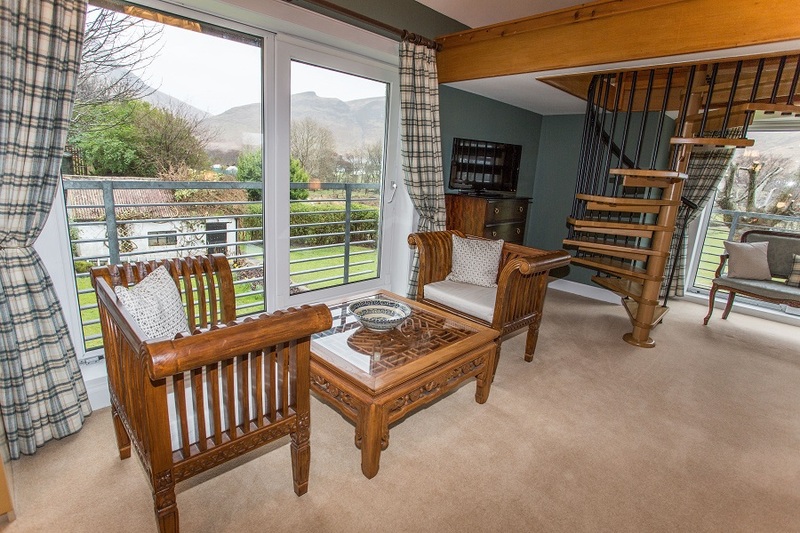 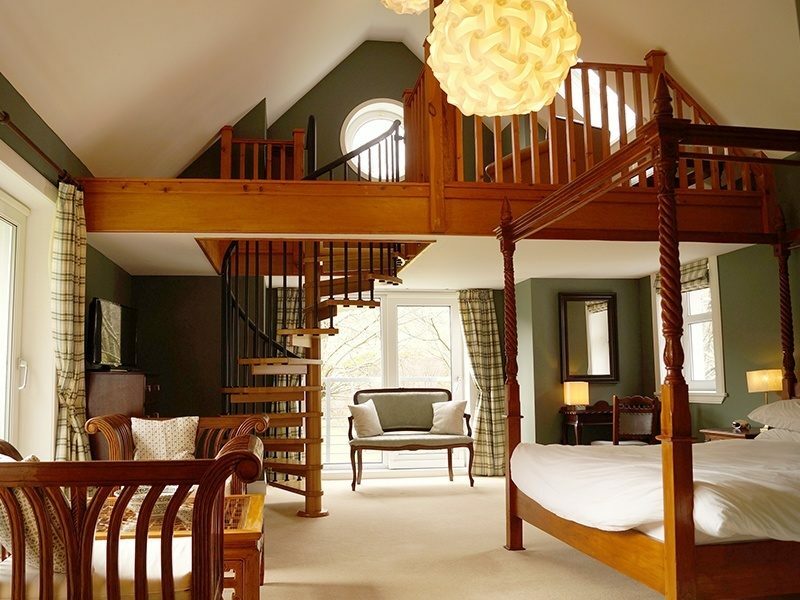 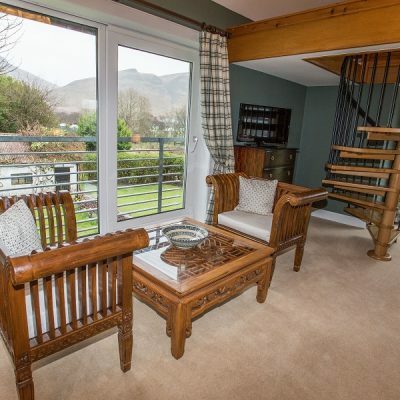 With windows on three sides, the Castle Suite provides unparalleled views across Lochranza. 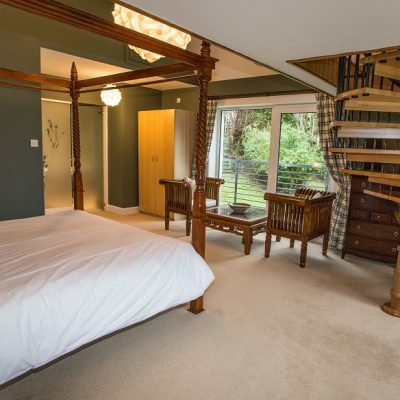 Wake up to views of The Sleeping Warrior from your four poster, super-king size bed. 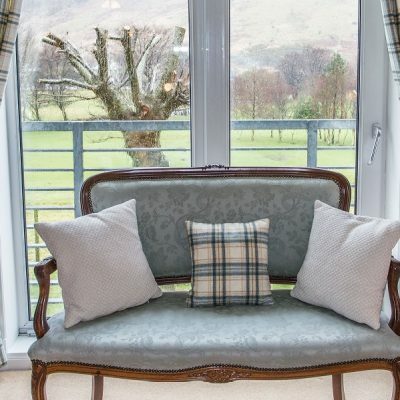 Enjoy complimentary coffee and cake overlooking our beautiful gardens and the golf course, and at the end of the day watch the sunset over Lochranza Castle and The Kilbrannan Sound. 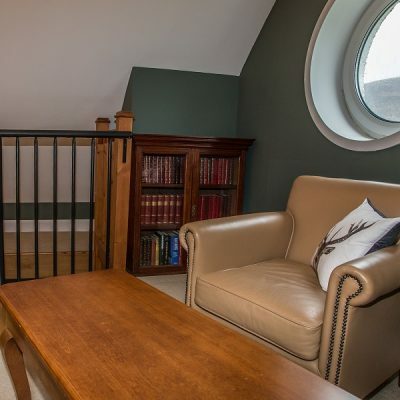 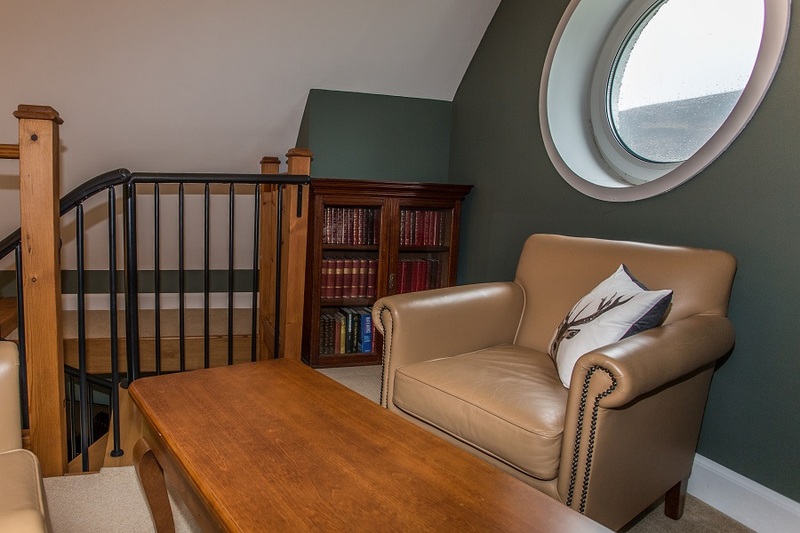 A spiral staircase leads up to a mezzanine seating area with porthole window, which is a lovely place to unwind with a good book and a cup of tea. 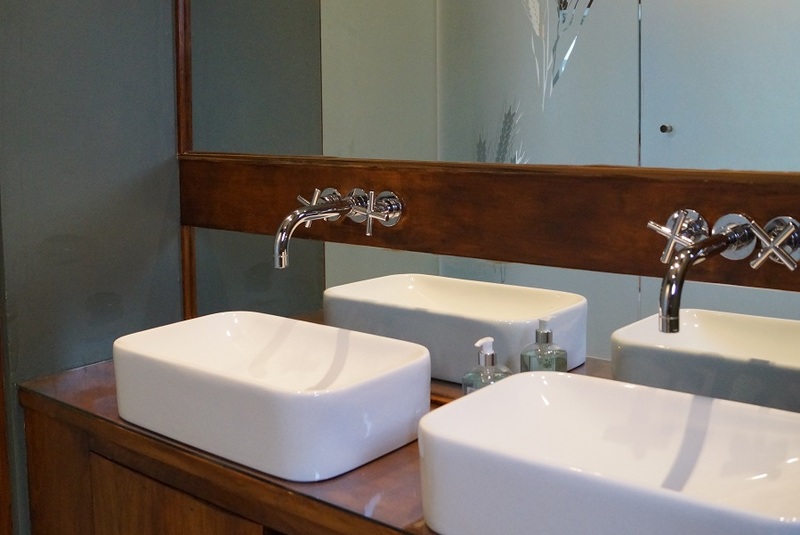 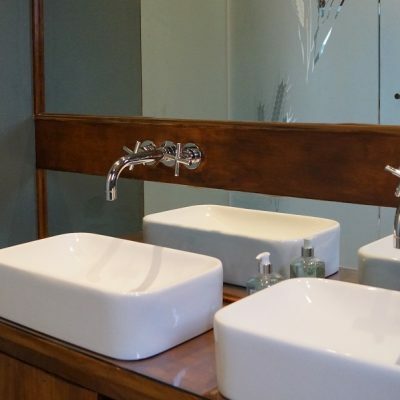 The en-suite has a large walk-in shower, twin sinks and feature frosted glass door. 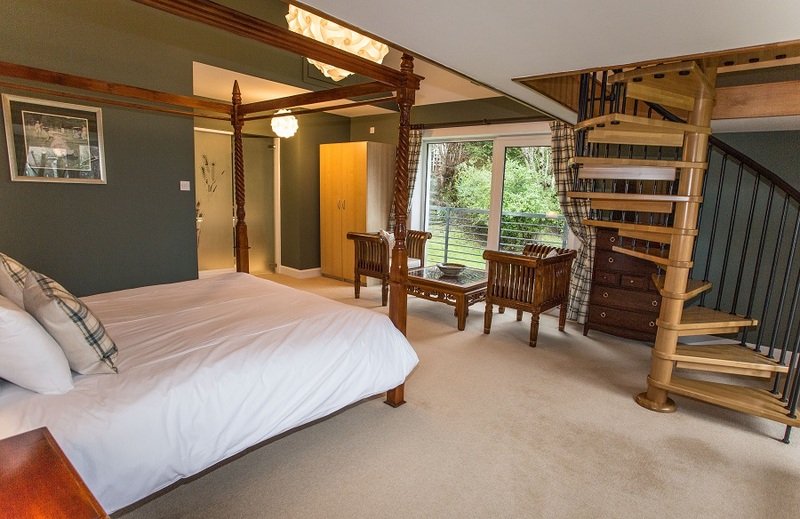 The room itself has tea and coffee making facilities, as well as an LED TV with built-in DVD player.